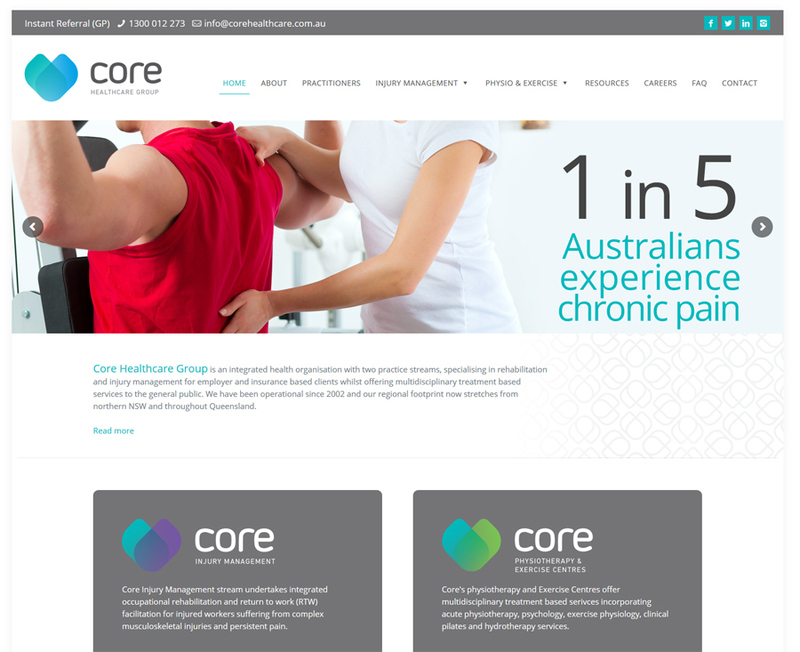 Core Healthcare Group is a large physiotherapy and rehabilitation company based in Brisbane with over 15 centres stretching from Brisbane to Gold Coast and Northern NSW. The company was going through a complete re-branding and had been sorely disappointed by another webdesign company that had taken the money, done a runner and left them with nothing but a mock-up. Stepping in at this stage, under a strict deadline, was a challenge and opportunity to prove the 8WEB motto true: “8WEB: where nothing is too difficult and solutions can be found“. Throughout the project we had several meetings with the client, adjusting and adapting our work accordingly. We were able to follow strict branding guidelines adapting them to a functional website – listening to client needs and bringing our own input and suggestions where appropriate. 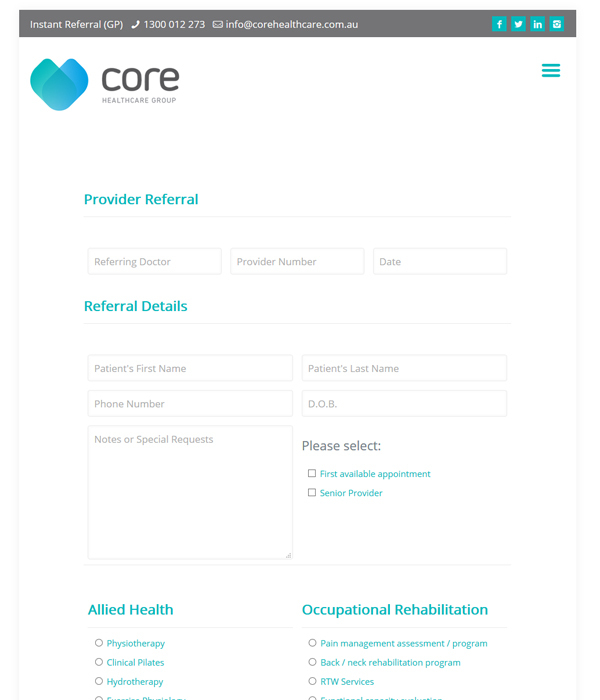 Using remote access and screen sharing programs we were able to train the client in the use of the newsletter plugin and how to update website posts. After contacting multiple designers and meeting with numerous website companies I decided to work with 8WEB as they were extremely professional while personable and very prompt in their responses. Throughout the process of designing our website they consistently went above and beyond, working with my complex schedule ensuring our website was completed to exceptional level within our limited time-frame. 8WEB was continually available and always very prompt to respond to offer support, make changes and answer any questions we may have had. I would strongly recommend 8WEB as they were an absolute pleasure to work with offering extraordinary results.